First published in 1972, this book contains a collection of ten essays that document the feminine stereotypes that women fought against, and only partially erased, a hundred years ago. 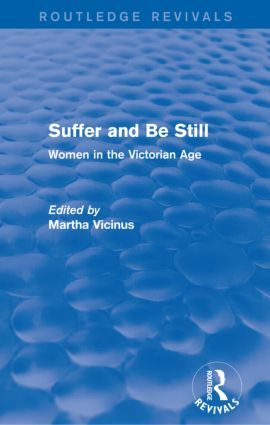 In an introductory essay, Martha Vicinus describes the perfect Victorian lady, showing that the ideal was a combination of sexual innocence, conspicuous consumption and worship of the family hearth. Indeed, this model in some form was the ideal of all classes as the perfect lady’s only functions were marriage and procreation. The text offers a valuable insight into Victorian culture and society.